1. Mix together all the spices in a bowl. 2. Whisk together the buttermilk and 1 tbsp of the spice mix. Put the chicken in a bowl and pour in the spiced buttermilk, mixing it all up with your hands. Cover the bowl and place in the refrigerator for 2 hours minimum and up to 8 hours (or overnight). 1. Preheat your oven to 200C/400F. 2. Put the butter and oil in a large rimmed baking tray place in the oven to heat. Once the butter is melted, tip the tray carefully so that the fat coats the entire surface of the tray. 3. Combine the remaining spice mix with the breadcrumbs, cornmeal and flour. Place half in a large Ziploc bag. 4. 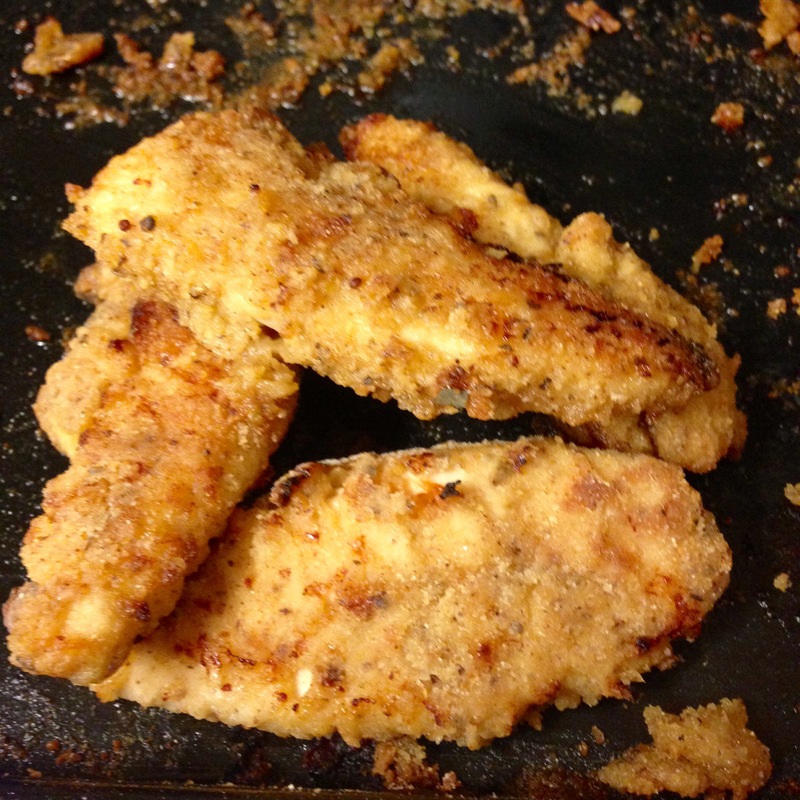 Shake off the excess buttermilk from each piece of chicken and place in the Ziploc bag with the spice mix. (Discard the remaining marinade.) Shake the bag well, so that the coating sticks to the chicken. Press it on through the bag if required. 5. Place the chicken carefully in the baking tray. Pat on extra coating if required. 6. Bake the chicken for 12 minutes, then turn them over, spray with non-stick spray and put them back in the oven for another 8-10 minutes or until they are golden. Check one of the pieces at its thickest part by inserting a knife, to see if it is cooked. If yes, remove the chicken from the oven, because overcooking them will dry them out. Hopefully they will be crisp as well but even if they’re not crunchy, they will taste wonderful (as attested by my husband). Serve with coleslaw or a salad.